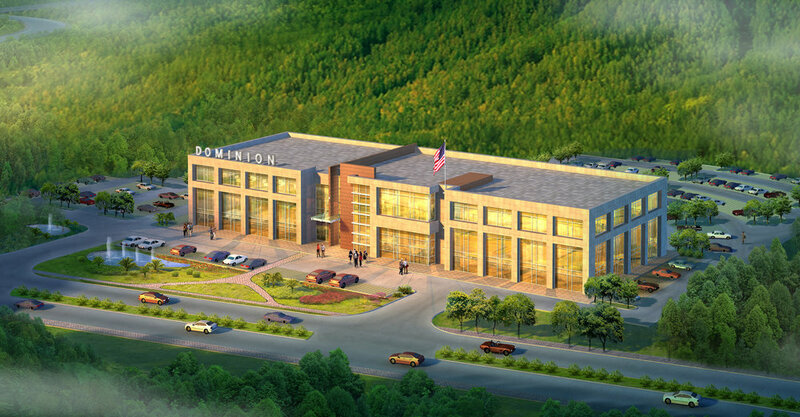 A new headquarters office building for Dominion Energy is designed with a highly efficient floor plate to leverage the client's corporate standards for maximum occupancy. Incorporating sustainable initiatives gives the developer a competitive edge to enable this company to exemplify wise energy usage in its own office operations and offers a healthier workplace for its employees. 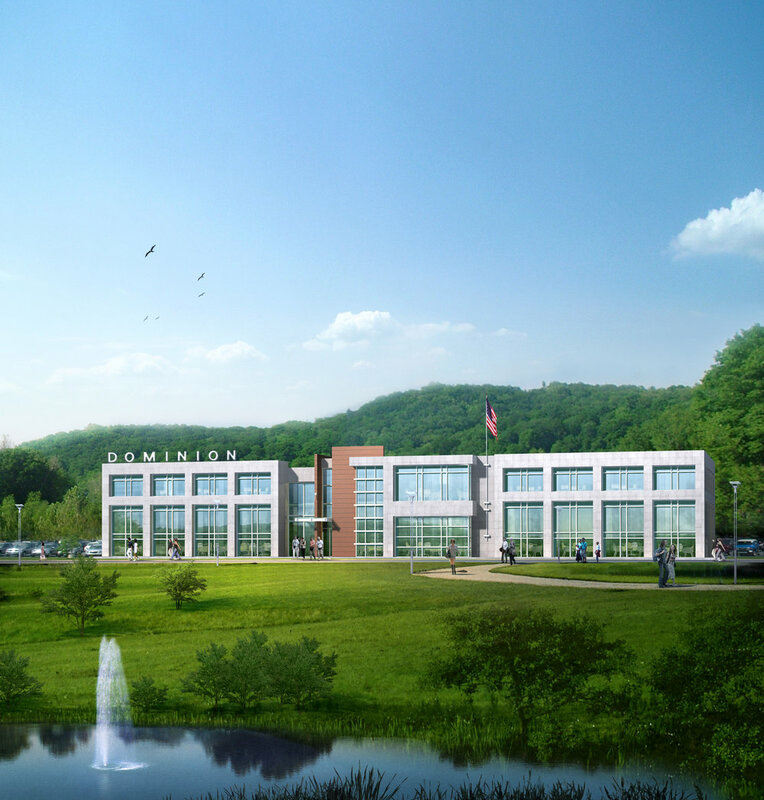 The three-story building offers greater surface area outside which allows more interior spaces to be adjacent to the exterior, creating better views and natural lighting. It also establishes a taller building with a smaller footprint for more efficient site utilization. The longer rectangular footprint allows for deeper light penetration into the core of the building.